Western medicine has achieved momentous strides in infertility treatment – giving couples who initially couldn’t have their own children a new lease with the ability to create life. However, the world of assisted reproductive treatments or simply ARTs doesn’t comprise of the most enjoyable treatment procedures with the injections, blood work and all that. In addition, even after undergoing the demanding In Vitro Fertilization or Intra Uterine Insemination procedures that can end up draining a huge part of your coffers, your physicality and emotions, the rate of succeeding in achieving pregnancy is only moderate. Acupuncture provides a route to infertility treatment through enhancing egg quality, sperm motility and morphology and improved lining of the endometrium. Acupuncture alone is at times sufficient infertility treatment and some couples can conceive without any further treatment. Acupuncture is also a crucial procedure for persons seeking to undergo assisted reproductive treatments. Consistent results from many recent researches show that acupuncture remarkably enhances the success rates of ART procedures like IUI (Intra Uterine Insemination), IVF (In Vitro Fertilization), as well as IVF-ICSI (IVF combined with Intra Cytoplasmic Sperm Injection). Dr. Robert Herbst and Dr. Landon Agoado have had wonderful success using acupuncture to increase their patient’s chances of achieving pregnancy. The have over 10+ years of experience working with many of the top reproductive endocrinologists throughout South Florida and the United States. 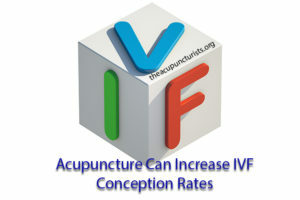 Read on to learn more about acupuncture and how it works for IVF support. Acupuncture is a holistic health-giving procedure that has been practiced in ancient Chinese cultures and has been passed onto subsequent generations since at least three thousand years ago. Acupuncture is a major form of medication in China and the rest of the Asian world. It involves the insertion of thin sterile, clean needles into specific acupuncture points in a bid to remove blockage or attain balance in the flow of Qi – a life energy that circulates all over the body through certain meridians or channels. From an ancient Chinese’s viewpoint, when Qi is blocked or unbalanced, it results to sickness or disorders such as infertility. 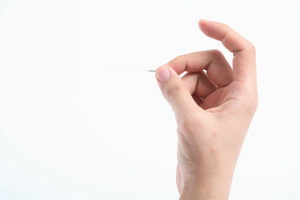 To restore one’s wellbeing and attain optimal health, Qi must be made to flow freely through acupuncture needling techniques. Unlike modern medications that usually treat ailments by focusing on alleviating the symptoms of a condition, acupuncture is an all-inclusive or holistic treatment in that rather than just improving the apparent symptoms, it works to treat the patient wholesomely – body and mind. And furthermore, acupuncture is painless and a totally relaxing, enjoyable experience. Acupuncture along with IVF has been shown to enhance your chances of becoming pregnant, carrying a healthy pregnancy and lowering rate of miscarriages. The treatment of reproductive issues, improving a mother’s ability to sustain a pregnancy and yield a healthy live birth have been some of the major uses of acupuncture since its inception. Ancient acupuncturists put a great deal of research into how to deal with fertility problems. In present times, practitioners in reproductive healthcare have found out that they can combine the best of modern medicine with the best of ancient procedures to substantially raise pregnancy rates and give couples more hope of having children. Numerous researches have shown that acupuncture can be incorporated with IVF to enhance the chances of becoming pregnant, carrying a healthy pregnancy and lower rate of miscarriages. A 2002 study carried out in Germany and published in the respected Infertility and Sterility Journal as well as in other leading medical publications showed that the combination of acupuncture and IVF attained up to 65% pregnancy rate. This is incredibly high compared to a paltry 26% pregnancy rate for persons who underwent traditional IVF without acupuncture. The British Medical Journal, a renowned and prestigious publication in medical circles, recently published the results of a meta-analysis that brought together top quality researches that examined effectiveness of acupuncture for IVF support. According to that meta-analysis, persons who have fertility problems and opt to undergo acupuncture and IVF raise the chances of live birth by 91 percent. Put in simpler terms, analyzing all researches conducted so far that involve acupuncture and IVF shows that undergoing acupuncture for IVF support increases the ability of bringing forth a healthy baby by twice as much as undergoing IVF alone. Another study also published by Infertility and Sterility in 2004 showed that undergoing acupuncture benefits the patient in more than a few ways. This include increasing blood flow at the ovary, which results to a healthy egg being availed for fertilization. Consequently, there’re high chances of conceiving normally without using ART methods. Other benefits of acupuncture to reproductive health are that it results to proper uterine lining and increased implantation rates as well as ability to sustain a healthy fetus without miscarriage. Acupuncture needles are sterile, painless, and so thin you can barely see them! Acupuncture also has a remarkable impact to patients who have previously used IVF and other ART methods without success. A research by Magiarelli et al (2004) on poor responders of ART showed that when acupuncture for IVF support is administered to poor responders, it results in pregnancy rates that are similar to those observed in normal responders. By the end of the 20th century, the United Nations’ World Health Organization had supported the application of acupuncture in treating myriad conditions including infertility (cited by Sierpina & Frenkel in 2005). Acupuncture for treating fertility problems has profound positive effects on hormonal balance, enhances the flow of blood in reproductive organs and makes more energy available for the body and this is crucial for successful fertilization of the egg by the sperm, proper implantation, sustenance of the fetus and delivery of a healthy newborn. If you’re grappling with endometriosis, blockage of the fallopian tubes, ovulatory aching, uterine fibroids, chronic miscarriages, infertility that’s hardly treatable using regular medical procedures, hormonal issues such as high levels of FSH, migraines or headaches linked to the menstrual cycle, irregular cycle and/or unhealthy or low sperm count, acupuncture could be all you need to restore your general well-being and optimize your body’s reproductive capacity. The body of work in IVF is always growing. There is an honest effort to raise the odds of fertilization using these technologies, and a tremendous amount of resources has gone toward ensuring that professionals in the filed keep pace with the increasing demand for IVF. While scientists understand the need for cold data in taking a look at how the future pans out, they do appreciate the fact that practices like acupuncture bring some real sophisticated science on to the table, and that is why they have roundly embraced it. Acupuncture has managed to pass every single hurdle and is at the moment the perfect IVF support for many couples struggling with infertility around the world. We are elated to have had so many success stories over the years. We want to help you achieve your fertility goals and have the family you desire. Give us a call and schedule a free consultation with either Dr. Robert or Dr. Landon today. We accept insurance and our prices are always affordable.